You've probably heard a lot about essential oils lately because they've become something of a fad as more and more companies decide to produce them. That being said, if you're still completely in the dark about what all the fuss is about, you're not alone! 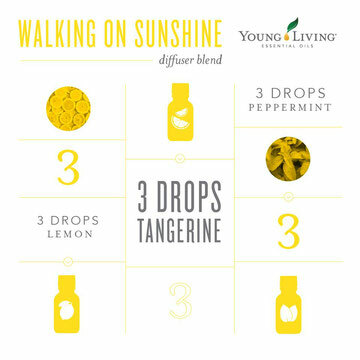 Opinions range from, "They just smell pretty," to "They are nature's miracle workers!" and in reality, they're somewhere in between. 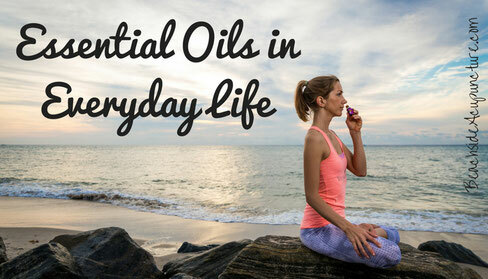 Essential oils can be likened to the blood of a plant, carrying oxygen and small molecules that help the plant defend itself, grow, reproduce, and thrive, and they can do the same for our bodies, supporting organ systems and natural healing processes. Why then is it only in the past few years that essential oils have had a resurgence in popularity? Most of the credit can be traced back to a man named Gary Young, who traveled the world learning the proper techniques of farming and distilling plants for their therapeutic oils in the mid-80's. In the early 90's he founded a company called Young Living to make essential oils more accessible, and as Young Living grew, others took notice and started their own oil companies. At Beachside we still advocate Young Living's products above any other company because we know the amount of work that they put into making sure their oils are top quality, owning farms around the world, partnering with farms that comply with their strict purity standards, running 15-20 tests on every batch of oil three times to ensure the therapeutic compounds of the oils are present, hiring third-party labs to test for purity, and only selling the essential oils that meet their high standards (which is only about 30% of what comes in). That being said, other companies may very well have strict standards too, and if you're using another company's oils, just give them a call and see! In our experience, an honest company will take pride in what they do to go the extra mile to ensure purity and will be happy to talk to you about it. Less honest companies, on the other hand, may dodge questions or only offer limited information. The essential oil industry is highly unregulated, so do your research because quality is a BIG deal. With most companies, you can also apply essential oils topically, meaning drop them onto your skin. Before trying this, it's a good idea to dilute the essential oil with a carrier oil (a fatty oil like coconut oil or olive oil) to decrease its intensity and apply a small amount to your forearm as a "patch test". If your skin becomes uncomfortable, apply more carrier oil to dilute the essential oil further, and know that your body may need to detox a bit before you're able to use large amounts of the oil. Certain essential oils - Peppermint and Cinnamon for instance - are known to cause more of a reaction in the skin, causing sensations like tingling and heat, so always start slow and dilute accordingly. 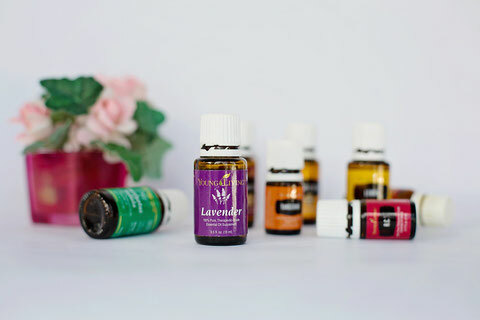 The most controversial method of using essential oils is internal consumption, or adding oils to beverages, food, or capsules for the body to absorb them internally. The Food and Drug Administration has labeled specific oils as "general regarded as safe" (GRAS) and many of these oils come from plants that we consume regularly (i.e. Lemon oil from lemon rinds/zest and Ginger from ginger root). Some aromatherapists say internal consumption is never recommended because of the oils' potency, but in France people have been ingesting oils for decades with no issue. The keys here are purity and common sense. If the oil is adulterated in any way - say with chemicals added to enhance aroma - then ingesting it can obviously lead to health issues, but an oil that is only pure, high-quality oil should be safe to consume in small amounts, which is where common sense comes in. Just like you wouldn't snack on handfuls of multivitamins all at once, you shouldn't drink large quantities of essential oils each day. Part of the beauty of the oils is that each drop is very, very powerful, and too much of a good thing is possible. 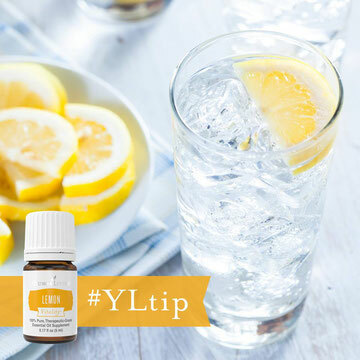 Use a drop at a time when adding them to food and beverages and be mindful of how you feel after consuming them. Young Living’s mission is to bring essential oils into every home so that its members may experience wellness, purpose, and abundance. The body (and mind!) are capable of fantastic things but we bog them down with poor lifestyle choices. Open yourself to the possibility – the certainty – that the body can overcome health challenges with the proper support, and focus on giving it the tools it needs to do its job instead of covering up the signs that it gives you that it needs help. Do your best to clear out what you know will upset it – chemicals in your home, junk foods, etc. – and be amazed at where it takes you! Kathleen Ellerie is a Licensed Acupuncturist and the owner of Beachside Community Acupuncture. She loves providing affordable acupuncture to the residents of Addison, Dallas, and Farmers Branch, Texas, and educating the general public on how acupuncture and Traditional Chinese Medicine can treat everything from pain to infertility to stress and beyond. Click "Book Now" at the top of this page to book an appointment or feel free to contact her at (214) 417-2260. Follow us on Facebook, YouTube, and Pinterest or give us a call at (214) 417-2260 for more information.